Home » » Man charged to court for failing to pay for beer, pepper soup. Man charged to court for failing to pay for beer, pepper soup. A 23-year-old man, Daniel Isong, who allegedly escaped from a hotel without paying for beer and pepper soup he consumed, on Thursday appeared before an Ikeja Magistrates’ Court. Isong , whose residential address was not provided , is facing a three-count of obtaining under false pretences, breach of peace and stealing. The prosecutor, Insp. Victor Eruada, had told the court that the accused and one other person at large committed the offences on Sept. 12 at Urban Hotel located on Yaya Street, Ogba, Lagos. Eruada said that the accused fraudulently obtained bottles of beer and plates of pepper soup worth N21,800 with the promise to pay after consumption. He said that Isong attempted to escape from the hotel without paying for them. “He was, however, caught with the help of a waiter who intercepted him, and he was immediately arrested. The offences contravene Sections 312, 285 and 166 of the Criminal Law of Lagos State, 2015, according to the prosecutor. 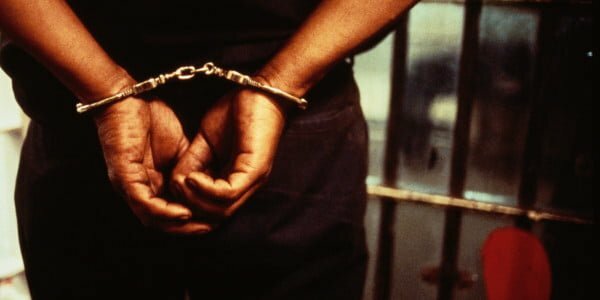 The News Agency of Nigeria (NAN) reports that Section 285 provides for three years jail term for stealing. The Magistrate, Mrs G. O. Anifowoshe, granted the accused bail in the sum of N25, 000 with two sureties in like sum. She said that the surety must be gainfully employed and should show evidence of two years’ tax payment to the Lagos State Government. The case has been adjourned till Oct. 16 for mention.